Depending on who you ask, 19-year-old guys tend to have a reputation. You may hear impulsive, immature, or completely and utterly obsessed with a certain topic, game or band. (But his friends will likely have a different set of words to describe their dude and his hidden talents.) So when you're looking to find gifts for a 19-year-old boy, let's remember he's not really a boy, but he is still a teenager. Here's a go-to list of gifts for teen boys that will only improve on his reputation. Depending on who you ask, 19-year-old guys tend to have a reputation. You may hear impulsive, immature, or completely and utterly obsessed with a certain game or band. (But his crew of friends will likely have a different set of words to describe their dude and his hidden talents.) 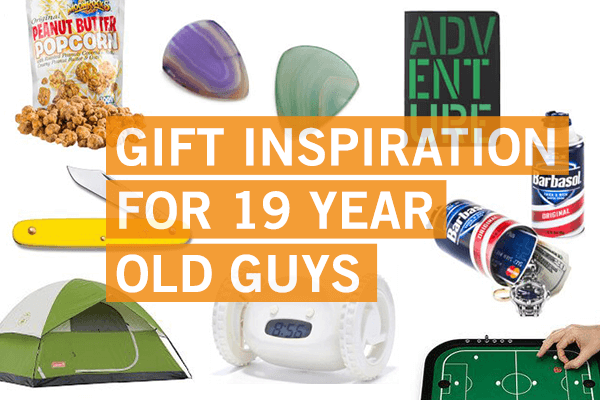 So when you're looking to find gifts for a 19-year-old boy, let's remember he's not really a boy, but he's still a teenager. Here's a go-to list of gifts that will only improve on his reputation. Depending on who you ask, 19-year-old guys tend to have a reputation. You may hear impulsive, immature, or completely and utterly obsessed with a certain game or band. (But his crew of friends will likely have a different set of words to describe their dude and his hidden talents.) So when you're looking to find gifts for a 19-year-old boy, let's remember he's not really a boy, but he's still a teenager. Here's a go-to list of gifts that will only improve on his reputation. 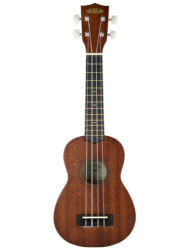 This beauty of a ukulele is just right for the guy who's not shy about singing and performing for others. He knows how to spark a fire, and he's an adventurer at heart. 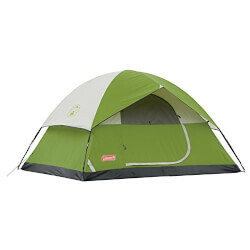 This tent gives him space to sleep under the stars with his crew of good friends. 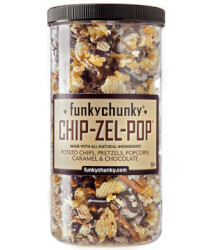 He's not going to want to share this gourmet snack mix in the dorm, guaranteed. 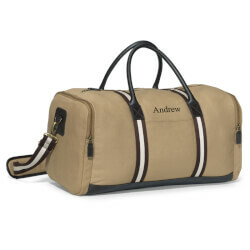 This gift is just for him. He's heading off to explore a world outside his homestate. 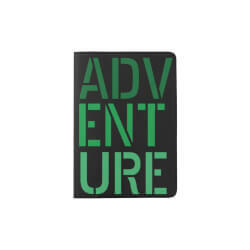 So he'll need a rad passport holder for the big trip. He's not one to lounge around with a beach read — the ocean waves call him. 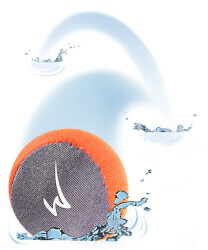 And these handboards are just plain fun. Turning almost-20 doesn't mean you've lost your love of cool slapbands. 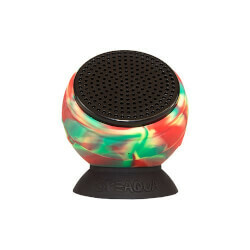 Here's a watch with a surf theme just perfect for summer. He may live in a world of hashtags and Facebook shares, but he still appreciates taking snaps he can hang up in his dorm room. Who knew you could have so much fun with a penny? 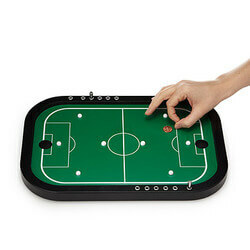 Here's a genius game and unexpectedly fun gift idea. 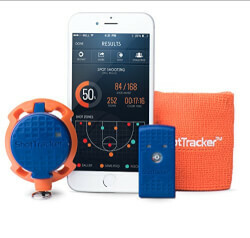 He loves to shoot hoops, and this gift takes his hobby to a new high. 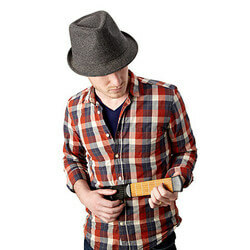 He's graduated beyond air guitar, and this wood rocker guitar looks extra cool. 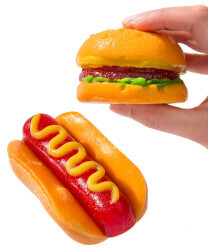 You can't ship hot meals in a care package, but you can send him some sweet treats disguised as his favorite foods. Because good times call for good tunes, even when you're by the water. 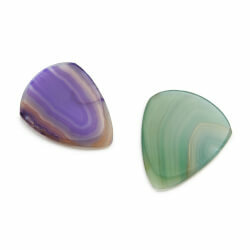 For the budding musician, here are some guitar picks that look rad — but that he'd never splurge on. 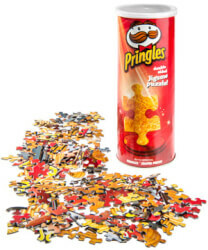 For the potato chip lover, put his mind to work on something other than his smartphone. 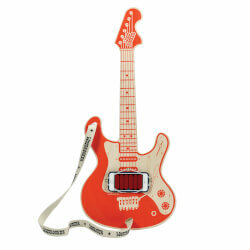 He's most inspired by music, and he'll appreciate a pocket-size gift based on his love of guitar. Some things never change — like how your 19-year-old boy still loves to play ball (and this one's not your average ball!). When he's not playing in the game, he can snap shots of the sports action. Because tasty snacks are always needed for 19-year-olds who are always studying. 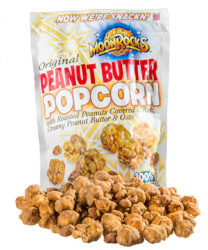 The perfect gift for when the munchies come on! 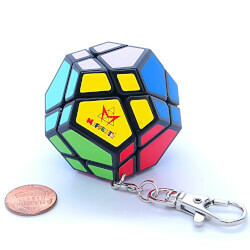 Here's a gift that will help him find his keys and keep his mind off waiting in line at the store. That's a win-win find! You were thinking there is nothing that will make your 19-year-old boy awaken in the morning hours. 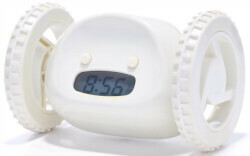 That is, until discovering this unique alarm clock on wheels that's the perfect solution for him. 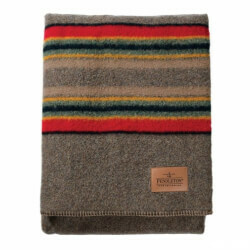 Here's something you can both agree on — the classic wool Pendleton camp blanket (that's been around for generations) is still the perfect topper for his bed. 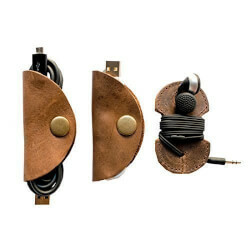 This cord keeper is made of leather and brass clasps, that give it a bespoke style he'll appreciate. 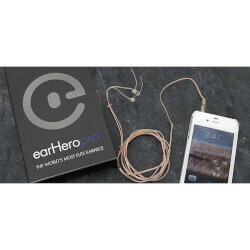 What he'll love most: no more tangled headphone cords! 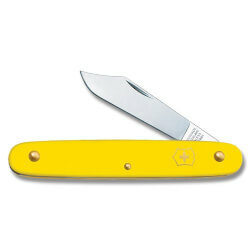 For camping, for emergencies, for looking cool — every almost-20-year-old guy needs a handy Swiss Army knife. 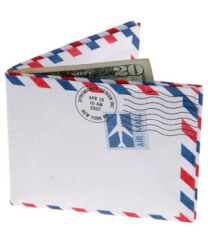 The money clip is not the best option for a teenager trying to keep track of cash and ID cards. Here's a mighty fine solution. 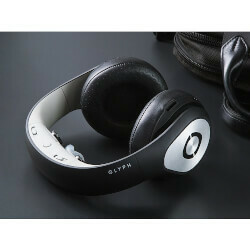 He'll still be able to hear outside sounds (for safety, when he's biking or running) while hearing quality sound with these earphones. Because it's about tuning in to his music — not tuning out the world. Presentation counts when it comes to advising a teenager. And this roadmap guide helps the 19-year-old who's a little scattered about a lot of stuff. 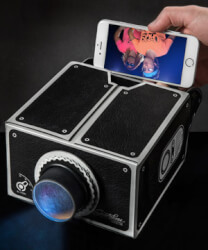 This smartphone projector is the perfect blend of old and new — so his Instagram-worthy snaps can be enlarged for his crew to see. 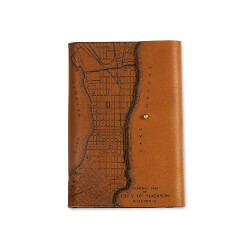 This handsome leather map journal is the perfect place for him to jot down thoughts and plans, while he's out adventuring in new places. 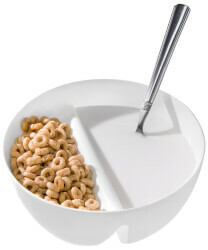 He's firmly in the camp of anti-soggy cereal, so give him a bowl to keep cereal meals just the way he likes them. 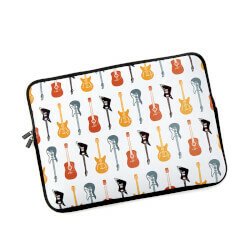 Here's a fresh laptop case that channels his rockin' love of acoustic music. You've likely never run into a 19-year-old boy who's disappointed by receiving a quality headset. 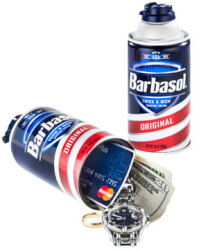 Here's a failproof gift for him. 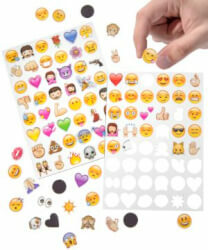 He lives in a world of emojis so give him a little something that gets his kitchen up to speed on the face of the day. He needs a spot to keep track of all his big ideas — which seem to come when he's in the shower! Here's a handy solution to make it easier for him to keep hold of his most prized possession (his smartphone, of course!). You're looking for a practical gift for your teen, and this shaving can safe will give you both peace of mind. He would never buy a selfie stick himself, but he'll be happy that you did. Here's a fun way for him to decorate his dorm room with his thought of the day. Consider it Facebook-style decorating 101. At 19, he's a rugged guy who's always active. 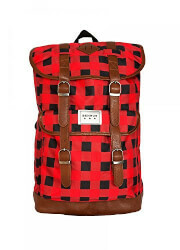 So here's a backpack that looks and feels just his speed. When asked about his favorite foods, he'll respond that he likes anything and everything with hot sauce. 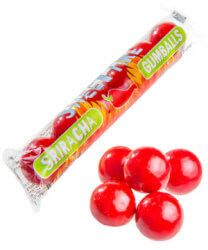 So give these spicy-hot gumballs with a wink and a nod. 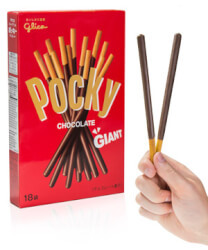 Because Pocky is only better in giant size. He'll appreciate a supersized sweet treat. 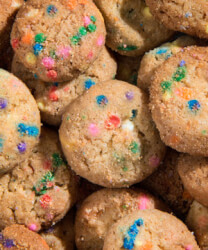 He's always been the one to pick out cookie dough from ice cream or marshmallows out of cereal. 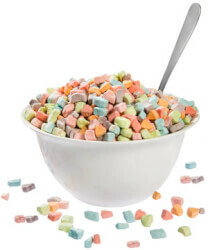 So give him just want he wants — all the marshmallows. He'd love to travel around the world someday. 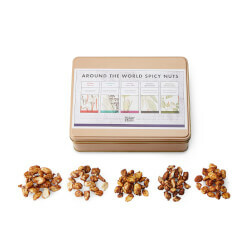 But for now, you can give him a healthy snack experience that spans the globe. He's the first one to note when something feels, well, awkward. So here's a fun game that takes awkward to a new level. You're pretty sure he's keeping the campus pizza shops in business. 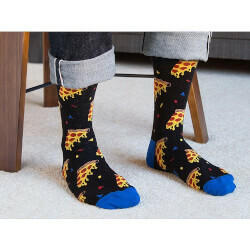 So here are fun socks that give a nod to what he loves most about college food. 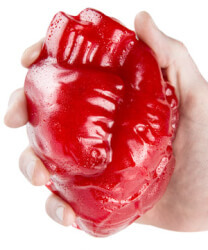 Here's a fun way to show him you love him, with the biggest gummy heart known to man. 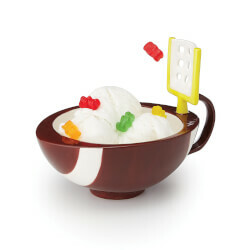 You'll score points with a gift mug that lets him play with his food. He's still a teenager, after all. 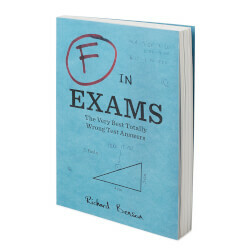 Here's the funny gift to give that 19-year-old student who could use a pick-me-up after finals. His mini fridge tends to run empty, and he never has detergent to do laundry. 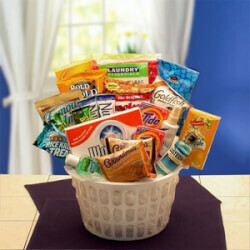 Give him a care package that sets your 19-year-old up for success off on his own. If you can't be there in person, celebrate your 19-year-old with a cross between cookies and cupcakes that make for a sweet surprise. 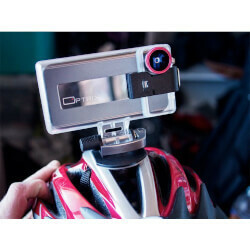 Stumped on what to give a teenage boy for a gift? We hear you! 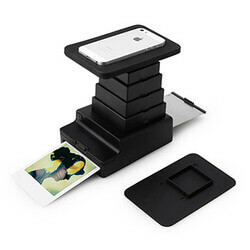 Here are teen gift ideas to truly impress, the best gifts for teen boys, and rad Christmas gifts for teenage boys.